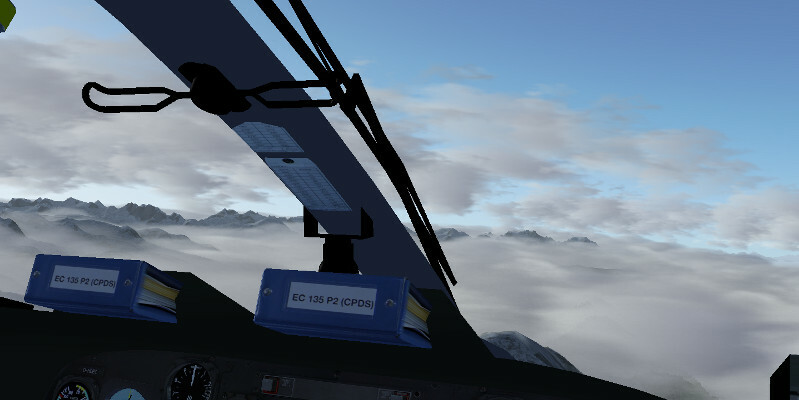 Posted on June 25, 2013 June 25, 2013 by Thorsten R.
Advanced Weather is one of Flightgear’s two weather-generating systems. 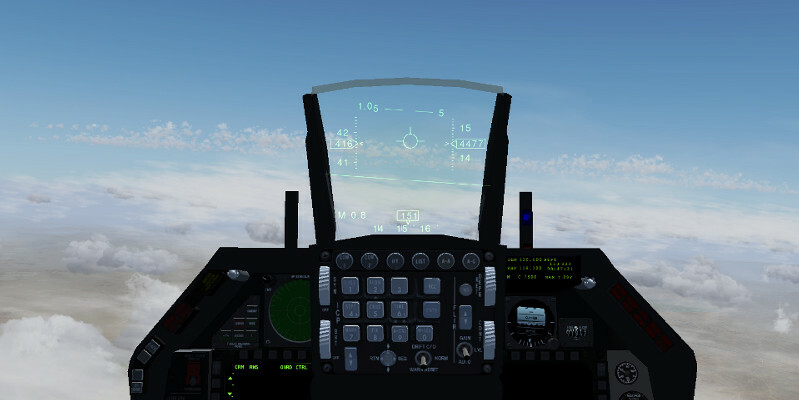 It operates based on a (limited) understanding of atmosphere physics – the user selects a weather situation, either from the menu or via specifying a METAR string, and the system simulates the weather from there. 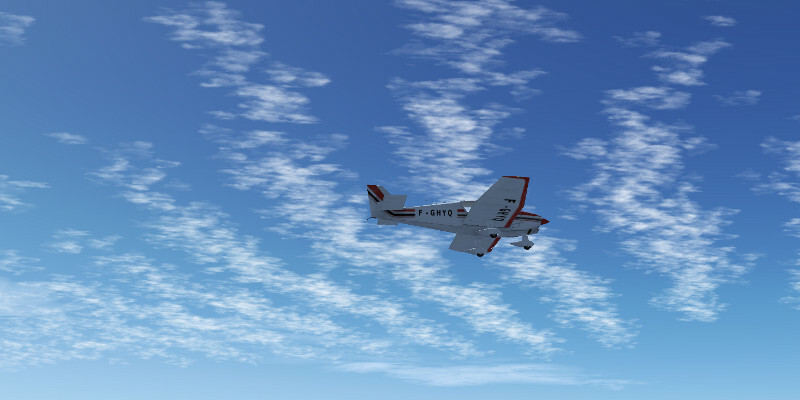 For instance, once the system knows how unstable the lowest layer of air is against convection, it automatically decides on the presence of thermals, turbulence, convective cloud number and visual appearance. In this way, generated weather matches cloud types in the different layers based on what would typically also occur in reality for the given weather situation. 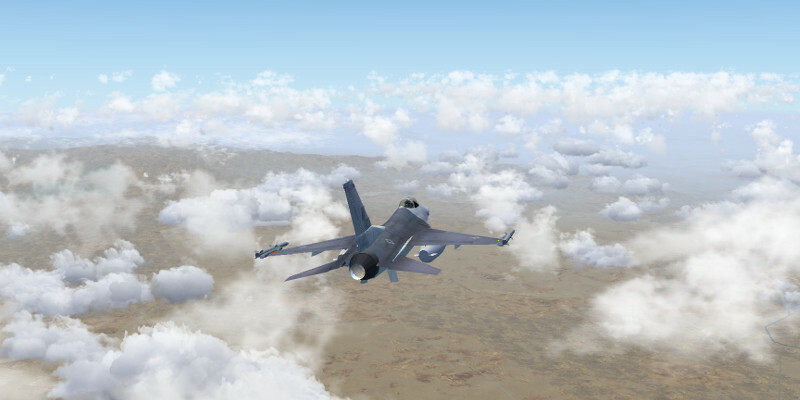 The system renders practically all clouds in 3D. To get close to a real sky appearance, it utilizes a large variety of algorithms grouping cloudlets into layers, streaks or undulatus patterns. 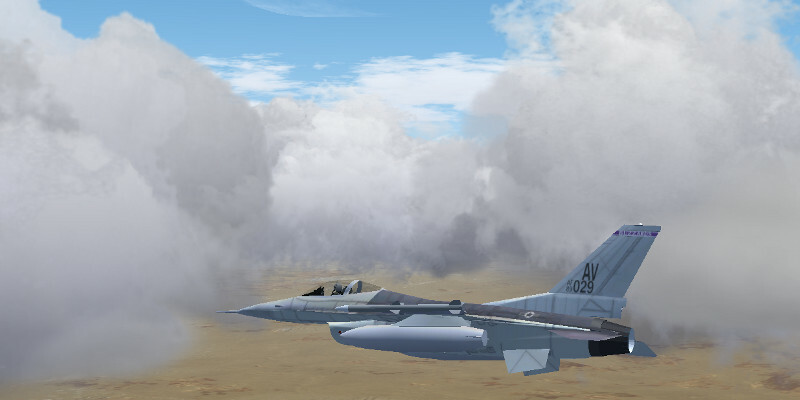 Combined with the ability to change the weather as a function of position, endless varieties of weather situations appear, and both in the online and offline weather modes, the sky never really looks the same. 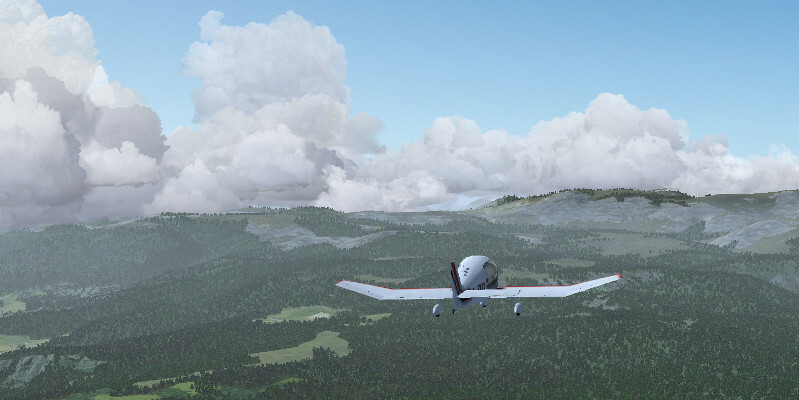 Simply select a basic weather scenario and watch the cloud patterns change from high or low altitude! 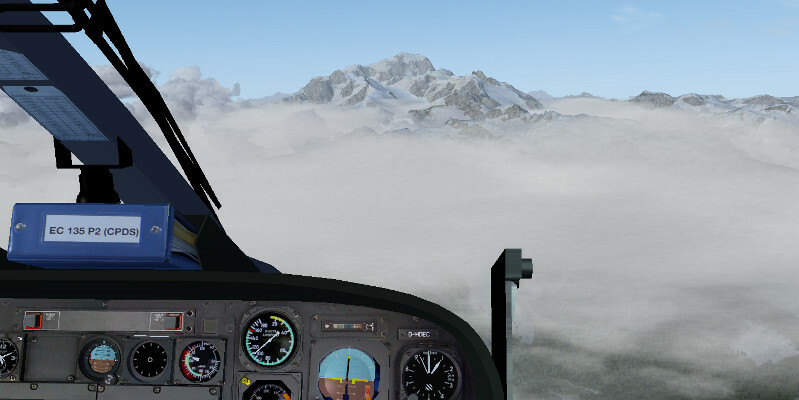 Cloud layer placement in level terrain is a simple exercise, but to render weather properly in mountain areas is a challenge. The weather system continually receives information about the terrain surrounding the plane, from which the distribution of wind and turbulence close to the ground as well as the placement pattern of clouds is computed. 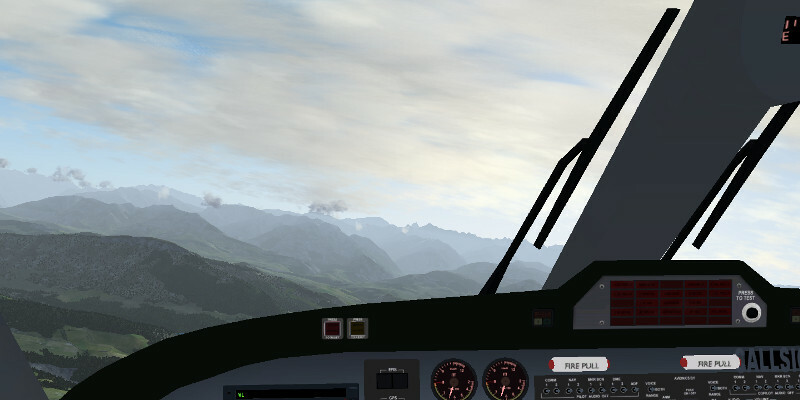 Try flying a mountain rescue helicopter in bad weather to see the weather system in action! 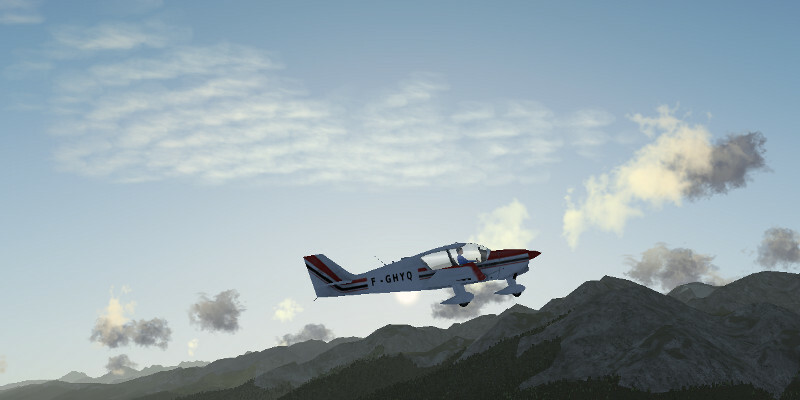 Or simply go sightseeing in the mountains with a single-engine plane. Precipitation is rendered beneath overdeveloping Congestus and Cumulonimbus clouds as well as beneath layered clouds. Either via a METAR string or on the advanced options configuration tab, the outside temperature can be specified – and precipitation changes from rain into snow accordingly. Also on the configuration tab, the stability of the convective air layer can be determined. Try combining an unstable convective layer with stronger winds, and watch turbulence evolve and rugged clouds with strong vertical development appear, or select a very stable atmosphere and observe well-shaped, large Cumulus clouds evolve. 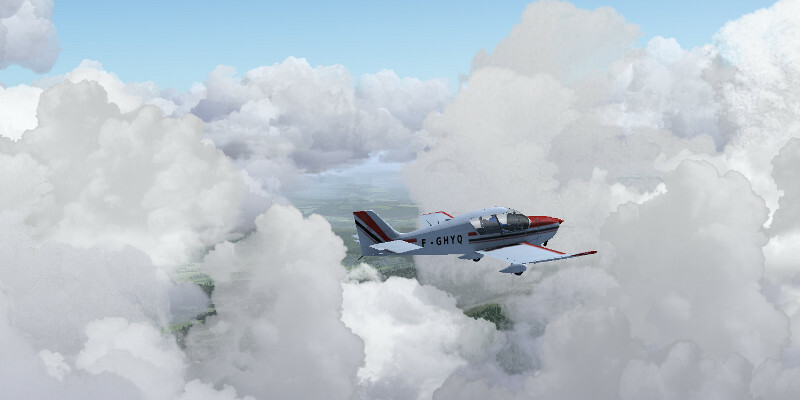 Or try the thunderstorm scenario, and observe large Cumulonimbus clouds tower over the scene. Using Environment shader effects, it is possible to add a snowline, wet terrain with gleaming puddles or drift ice into the scene – use this for best effect in rainy or snowy weather. 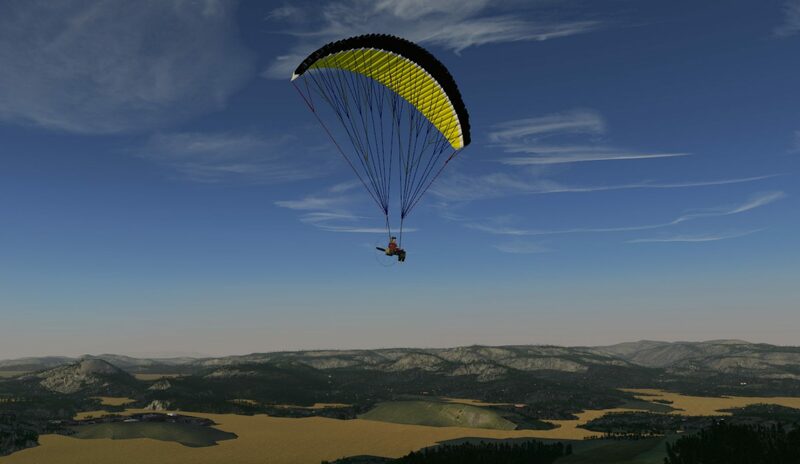 Try setting up a stormy scenario by adjusting the wind, and watch trees sway in the wind. 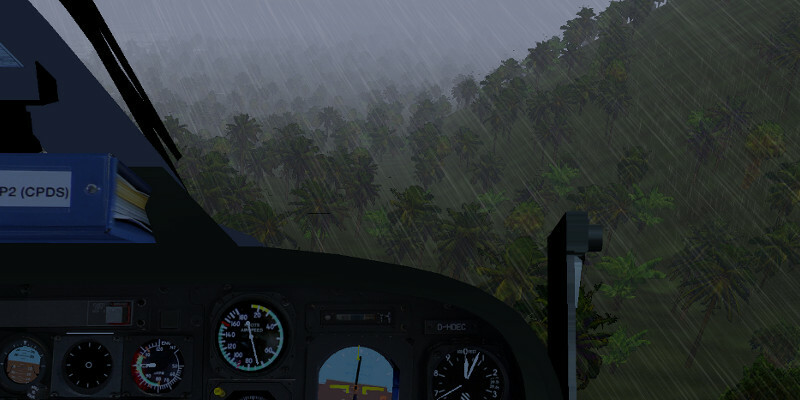 Can you fly a helicopter in 30 kt winds and torrential rainfall? 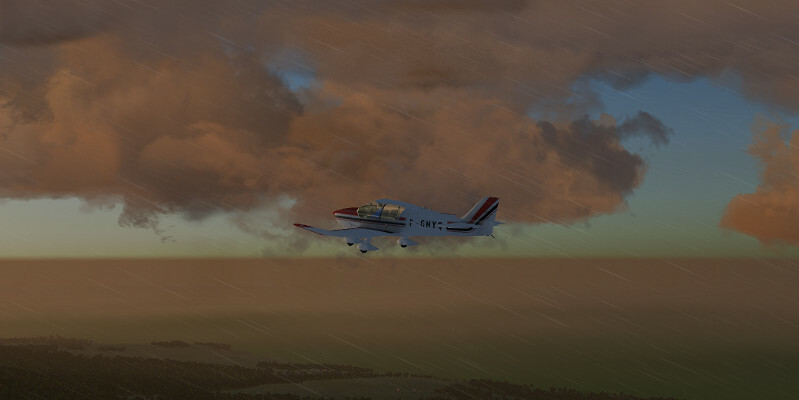 Advanced Weather is fully interfaced with the Atmospheric Light Scattering rendering framework – which means clouds in low light get differential lighting according to altitude: While cloud bottoms of Cumulonimbus clouds may already be in shadow, cloud tops can still receive light. With the sun behind them, faint clouds glow in bright radiance whereas thick clouds show shadows, making for a beautiful play of light and shade. 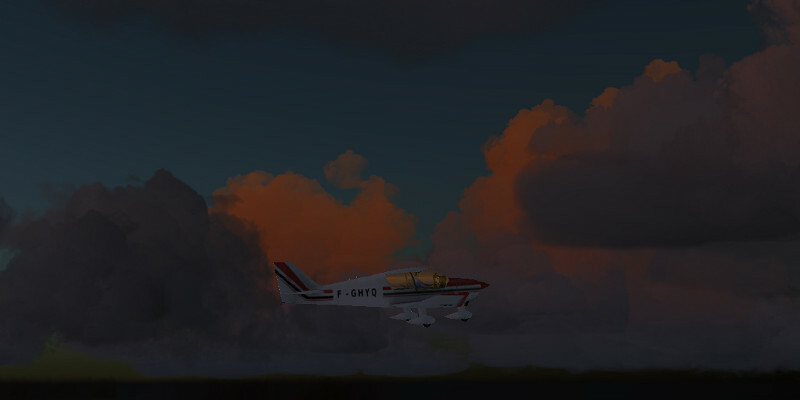 The weather configuration tab also contains an air pollution effect – use this to see low light colors of sky and clouds change from clean air to smog. Try an early morning takeoff before dawn, or flying into the night, and watch the low light illuminating the scene – there’s nothing quite as nice as a sunrise in the mountains. 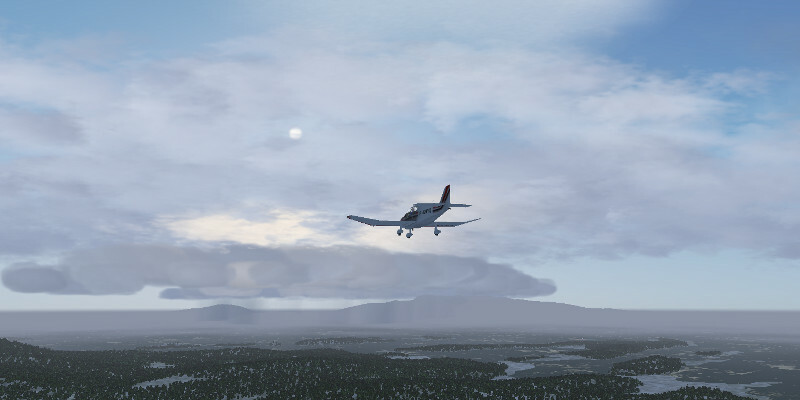 Advanced Weather for Flightgear – made for pilots who love to watch clouds! All features shown will be available for the next official release! 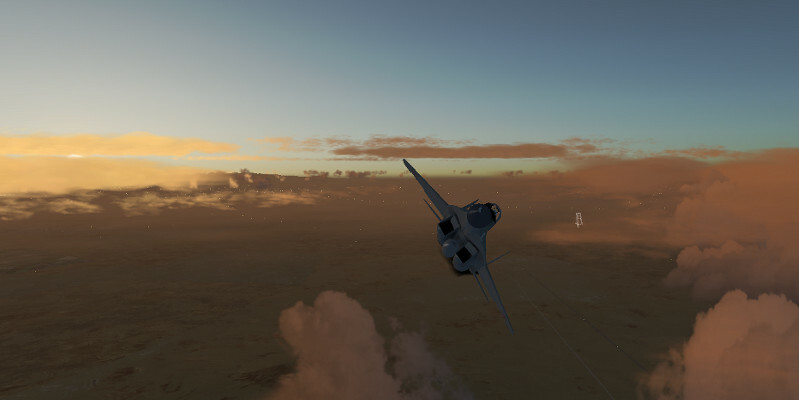 i have some troubles in my screenshot using 3D clouds . all the clouds are blacks sticking in the ground . is it from frag and vertex files or from something else? 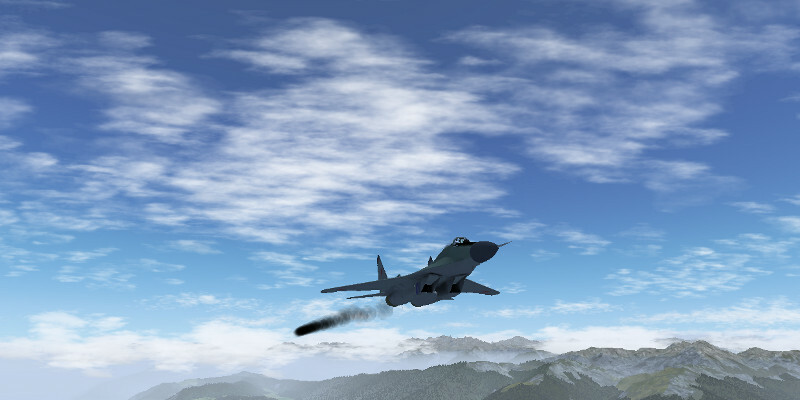 I’ts first time I download flight gear. How happy I am to know that Flight Gear is free to play. Great Work and many thanks! Amazing pictures! 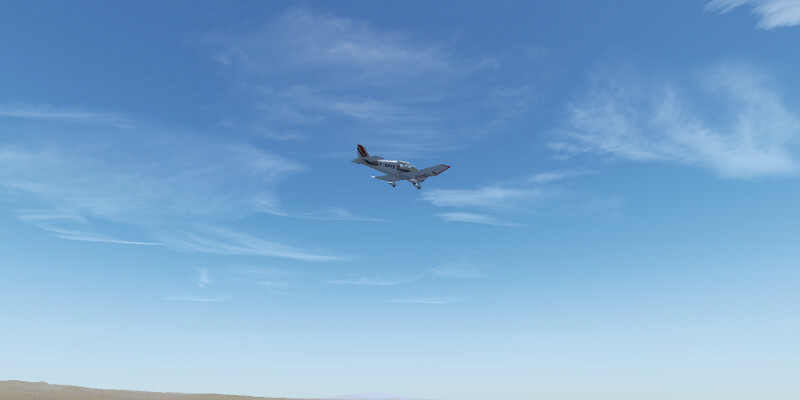 Thank you so much for working hard on a better FlightGear with every new release. Heavy precipitations from the distance appear to look very good. Very impressive early morning views. This is amazing. 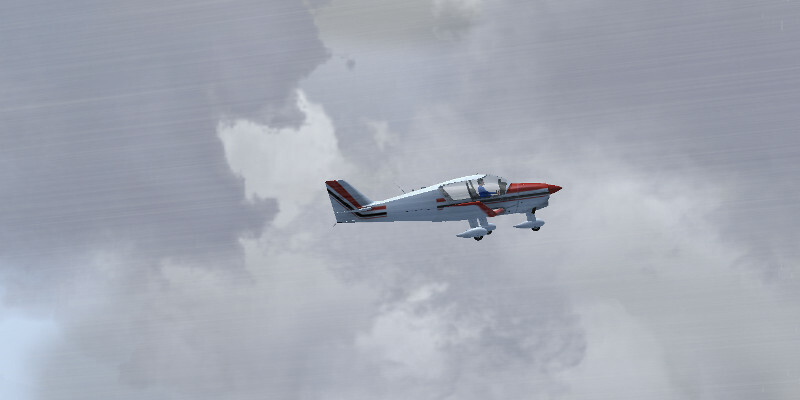 You guys have become meteorologists just from working on FlightGear.